GET 7 DAYS TRIAL !! 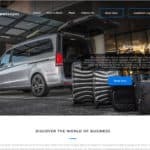 The farebookings design team are passionate about taxi website design and their approach focuses heavily on two key areas – Website Presentation and Web Content. 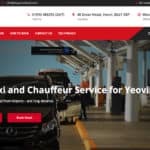 Whether you require a brand new taxi website, a redesign of an existing taxi website or enhanced features be added, we will be delighted to work with you. 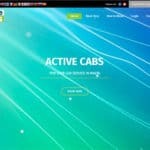 Our aim is to create a taxi website that performs as an essential and profitable tool for your business. 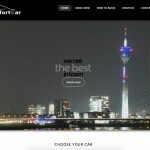 Taxi Website Content is a vital component of effective Taxi Website Design. While content includes graphics, photo galleries and images, what Search Engines such as Google and Yahoo are especially fond of is a website that is rich in text. Our developers will guide you on effective taxi website content writing and on the appropriate usage of valuable key words, key phrases and meta-tags that are relevant to the nature of your business. This is critical in order that your website be ranked favourably by the search engines. We understand that is not always possible for our Clients to spend much of their valuable time in preparing text for their website. ‘farebookings’ are delighted to offer web content writing services as a ‘stand-alone’ service or as part of the Taxi Website Development agreement to clients who simply may not have the time or resources to complete this vital task themselves. Our writers create original text and their experience in understanding search engine optimisation means that they are always creating text that not only reads well but that also works purposefully for your business. Presentation is not just about designing a site that is visually attractive but also creating one that ‘flows’ easily. 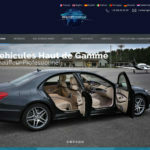 How you present the content of your taxi website – whether as text, videos or menu options – the site presentation and layout should be such that a visitor can navigate logically and quickly locate the information, product or service they are searching for. Website presentation should be attractive, easy to navigate and provide quick results. Farebookings designers love to stretch their ‘creativity wings’. However, the main aim of effective taxi website design is to present your business in it’s most professional light. Depending on the type of products or services you offer, the nature of your business and the typical market your business wishes to engage with, our design team will work with you to agree on the most appropriate use of creative looks and styles. 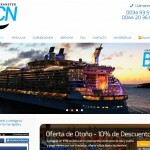 Farebookings design taxi websites that are presented in a very user-friendly way. It is vital that your visitors can navigate the site with ease and are not ‘put off’ by any content such as over-fussy imagery or too much movement as can sometimes be the case. Though layouts might be similar for websites within the same industry (for example, Property Rentals), each business will want to project their own personal ‘stamp’ in order to stand out from the competition. Your input is always valued by the design team to successfully reflect the style, professionalism and services of your business on your website. 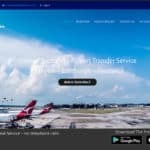 Farebookings’s strengths and successes in website design and web programming also lie in understanding that a website needs to generate a return on investment. Attaining this goal is core to our website development process. As experts in Internet Marketing and Web Programming strategies such as eCommerce products or SEO techniques, we can work with you to maximise the earning potential of your website. 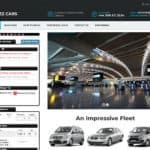 If you are in business for a number of years, you may well be considering revamping your taxi website. A productive taxi website is not simply one that receives a lot of visits (although that is a crucial start! ), it also converts visits into business opportunities. If you have an on-street shop or office front, it is likely that you will invest a little to maintain a professional and clean appearance in order that customers will be attracted into your premises. In the same way, it is critical to maintain the look and objectives of your business website in order that it remains productive and gets desired results! Have a look at your website today and consider the following factors. Dress to impress! Examine your taxi website. Is the look out-dated and lacks a crisp and clean appearance? Is your business profile properly reflected in the look and style of your website? If not, then maybe it’s time for a restyle? Can your visitors easily purchase the product or request the service you are offering online? Can they make a secure payment for your goods or services? If not, why not? Create an online experience for your customers that is secure and convenient. Is the information provided on the website up-to-date? Can both visitors to the site and the search engines recognise your commitment to keeping information fresh and interesting? Make sure your business moves with the times. Your website should be engaging and be actively creating a community through popular social networks such as Facebook and Twitter. Join the community and get people talking about your business! Mystery is not an effective tool for engagement in website design. Visitors need to quickly see the information they require or they will leave your site. Your website design should be logical and provide quick solutions that a customer can be happy with. A happy customer will return and recommend. If your website is not performing satisfactorily – ie, not generating business leads or making sales – please give the farebookings Design team a call. A small investment into redesigning your website may go a long way in increasing business profits!